When you have a physical health crisis, you visit a hospital’s emergency room, but when you have a mental health or substance abuse crisis, you come to Charlotte Behavioral Health Care’s Crisis Stabilization Unit (CSU). A mental health crisis can occur when negative emotions, stress, and/or reactions to a traumatic event become so intense that individuals have thoughts of harming themselves or another person. A substance abuse crisis can occur when an individual is so impaired by substance use that they are a danger to themselves or others. 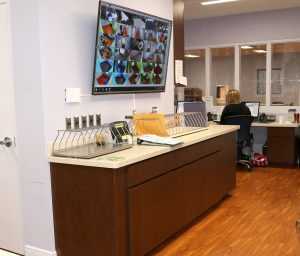 Our CSU is a secure, short-term, inpatient unit for intensive behavioral, emotional or substance use situations. When you or a loved one are going through a mental health or substance abuse crisis, help is just one phone call away. The CSU provides a safe environment for the purpose of stabilizing clients during a period of crisis. Click here for our Crisis Service Patient Handbook. 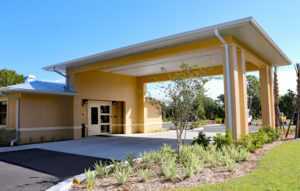 Our Margo Lang Crisis Stabilization Unit is a newly expanded and remodeled, comfortable facility that provides assessment and treatment services 24/7. 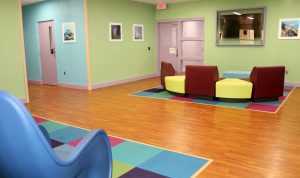 The CSU is a 28-bed inpatient facility with separate adult and children’s units designed to serve those who are experiencing an acute mental health or substance abuse crisis and in immediate need of crisis intervention and stabilization services – voluntarily or involuntarily – because they are unable to care for themselves or are a danger to themselves or others due to mental illness or substance abuse. Our professional staff provides individualized structured treatment plans and therapeutic activities to individuals with acute behavioral health or substance abuse problems. Our goal is to stabilize you, assist you or your loved one through your crisis situation, and provide linkage to outpatient treatment and other community resources for ongoing support and recovery. Perhaps the most important aspect of crisis stabilization is making sure the patient/family connects to follow up services. Our Engagement Specialists monitor your follow up and contact you to provide support, identify barriers to follow up and offer solutions, and to schedule another appointment as quickly as possible. Tracking your follow up is one key way that Charlotte Behavioral Health Care staff ensure your success and avoidance of future crises. 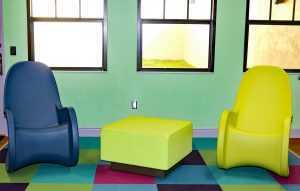 For a tour inside the Margo Lang Children’s Crisis Stabilization unit, click here. Assessment and treatment services 24 hours a day, 7 days a week for children, adolescents and adults. Staffing that includes nurses, technicians, and therapists who support the safety and stabilization of people in an acute mental health or substance abuse crisis who are a danger to themselves or others because of their mental illness or substance use. Voluntary and involuntary Baker Act and Marchman Act admissions to residents of Charlotte and DeSoto counties. Psychiatric evaluation and psychiatrist rounds daily. Many of the people we help are admitted involuntarily under the Baker Act Law and are potentially at risk to themselves or others. No matter how you enter the program, we are committed to serving your mental health and substance abuse needs with dignity, respect and compassion. Is incapable of determining the need for care due to mental illness. Is likely to suffer neglect. Refuses to care for himself or herself, posing a threat to his or her well-being. May pose a danger to themselves or others. Involuntary Examination court orders may be issued for examination up to 72 hours. Involuntary Placement petitions are heard within five days, with a public defender appointed to represent the patient. If the court concludes the patient meets statutory criteria, it may order involuntary treatment for up to six months. Law Enforcement are also authorized to transport an individual to an evaluation facility if there is reason to believe the individual’s behavior meets statutory guidelines for involuntary examination under the Baker Act. Many of the people we help are admitted involuntarily under the Marchman Act Law and are potentially at risk to themselves or others. No matter how you enter the program, we are committed to serving your mental health and substance abuse needs with dignity, respect and compassion. Involuntary Examination court orders may be issued for examination up to 72 hours. Involuntary Placement petitions are heard within five days, with a public defender appointed to represent the patient. If the court concludes the patient meets statutory criteria, it may order involuntary treatment in 90-day increments. After a 90-day increment, the court may then order additional 90 days extensions if statutory criteria exists. Law Enforcement are also authorized to transport an individual to an evaluation facility if there is reason to believe the individual’s behavior meets statutory guidelines for involuntary examination under the Marchman Act. A voluntary admission occurs when a person seeks treatment for substance abuse and applies to a service provider to receive such treatment. We understand that a crisis can happen at any hour, so these services are available to you 24 hours a day, seven days a week. Early intervention in a crisis can prevent longer term hospitalization and stabilize acute psychiatric and substance abuse conditions. Please contact our CSU at (941) 575-0222 at any hour if you or someone in your family needs immediate assistance. "I appreciate all the kindness and words of courage. Thank you for helping me get through a difficult moment." "I've learned how to deal with myself in a better way. You really have a great staff. Thanks for giving me a more hopeful life."